Abuko is a beautiful remnant of gallery forest on 30minutes away from various hotels around the coast. It is believed to be one of the oldest and best nature reserves in THE GAMBIA. There is an animal orphanage with the size of 105hectares and it has a photo hide for photographers. 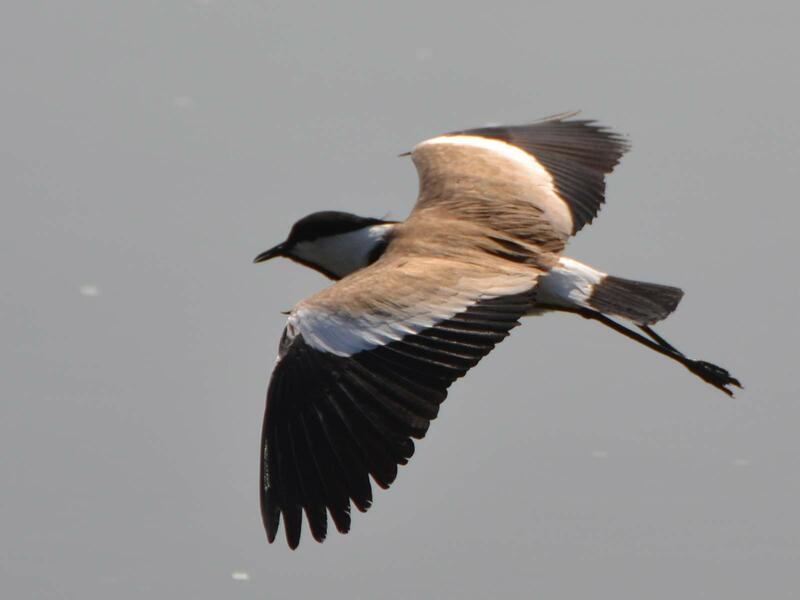 There is a chance to see many very beautiful birds, plusalso some animals like crocodiles, antelopes, dikdiks, red colobous monkeys, green velvet monkey, mongoose, etc. This is another place where I normally organize birdwatching trips and breakfast. I do a boat trip in the morning with some bird watching in the creeks and around the rice fields, which normally starts at 6.30am in the morning. There is a chance of seeing lots of sea birds and waders. This is a well wooded area on the coast 30 minutes away from the hotels around the coast. It has some very beautiful birds. It also has a good photo hide for photographers. Brufut is a beautiful unspoilt area which is actively conserved. There is a also a chance of seeing owls, nightjar in the morning depending on how lucky you are. This is a place where we normally see lot of waders or migratory birds like sand pipers, green shank,turn stones, whimbrel, curlew, terns heron, gulls etc. Interesting here is that we have a chance of getting very close to these birds. There is also a very interesting sea wage pond where you can see black crake, black wing stilt, white face whistling duck, african jacana, egrets and many more. Located in Kiang this safari style camp is nearly 160 kilometers away from the coast. It is one of the first tourist camps in rulal Gambia. It is situated on the banks of the river, surrounded by woodland with plenty of rare birds, bush hogs and other wildlife. The camp is built with bungalow houses, swimming pool, bar and restaurant. It is possible to go for river trips, bush tours etc. This is one of the oldest towns in the Gambia. It is situated on the island of Janjangbureh, 280 kilometers from Banjul, and it is very famous for wildlife with some stops along the way to spot rare birds, like Egyptian plover, pratincole, african pygmy, goose raptors in flight etc., and a stop to watch stone circles: a megalithic site believed to be a burial ground, thousands of years old. The trip includes a journey by the river from Kuntaur to Janjangbureh island and before reaching Janjbureh, hippos can be seen wallowing in the river and the muddy banks. Also we will check the baboon island while spotting birds as well as african finfoot, fish eagle, hadada ibis and many more. There are a number of camps around the island, including a camp to spot birds. 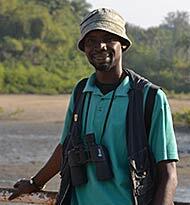 Mahmoud Bah is your perfect birdwatching guide for Gambia. All birdwatching areas are well known to him, and he is a master at spotting even the most hidden bird. Read more about Mahmoud here. Gambia Birdwatching Guide, Powered by Joomla!